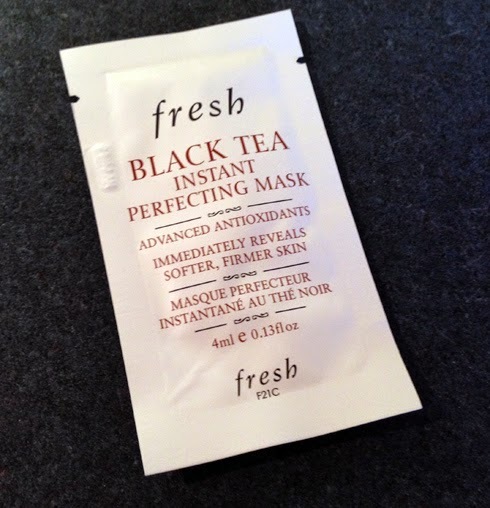 THE SKINNY: Fresh's Black Tea mask leaves my skin feeling incredibly smooth and soft. It really does smell like a fruity tea, from which the mask pulls antioxidants to cleanse and moisturize. This is a lightweight product, which is good considering the instructions say you can use it several times a week. It feels refreshing on skin, then it starts to tingle. The mask goes on like a lotion, and it doesn’t harden as it dries. The downside to that is it’s hard to tell that you’ve gotten all the mask off. In a handful of uses, my skin doesn't look much different, but boy is it soft. KEEP OR TOSS: Keep, although it's too expensive to buy more than my little sample. CHECK IT OUT: Fresh recommends leaving this mask on overnight occasionally. I'm not sure I'm brave enough to try that.